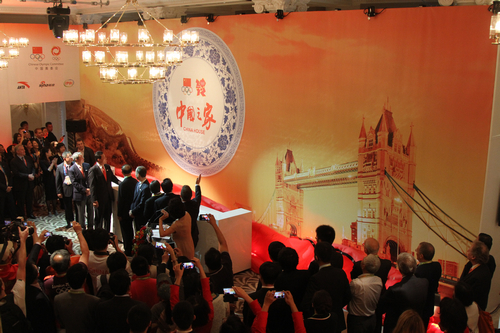 It is a real pleasure for me to attend the launch of 'China House' on the eve of the London Olympic Games. On behalf of the Chinese Embassy in the UK, I wish to extend my warmest congratulations. I also wish to express my sincerest welcome to all athletes, coaches and officers of the Chinese delegation and the Chinese media coming to cover the Games. 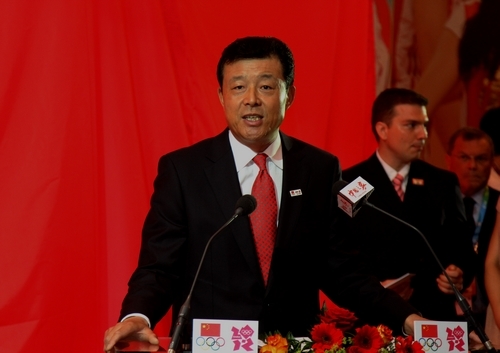 As Chairman Liu Peng said, this is the first time that a 'China House' has been set up during a Summer Olympic Games. It will provide a superb reception centre for the Chinese Olympic Committee during the thirtieth Olympiad in London. This 'House' has impressed me in the following aspects. First, this 'House' is open, warm and hospitable. 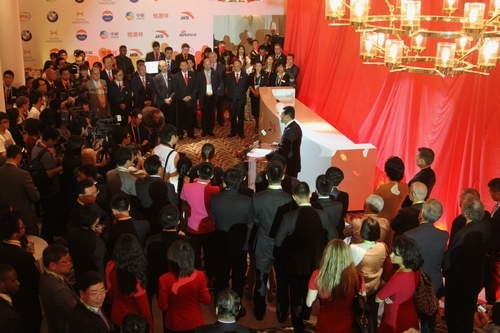 This means that 'China House' can welcome all members of the Olympic Family. This enables China to contribute greatly to the values of the Olympic spirit. I know that 'China House' will warmly welcome and encourage exchanges and interactions with the Chinese sports delegation, partners of the Chinese Olympic Committee and Chinese media. It is a 'House' for us all. It is a 'House' of friendship. Secondly I am very much impressed how this 'House' is pleasing to the eye. The finest décor and furnishings carry a strong Chinese flavour. This 'House' also has a lot to tell through its exhibitions. As you can see, there is a thematic exhibition telling China's Olympic story. In addition, the Chinese Embassy has also sponsored a display here on the 40 years of full diplomatic relations between China and UK. My third impression is that this is an auspicious 'House.' Decorated with lanterns and festoons, it will bring good luck! I know that Chinese athletes will compete actively in the true Olympic spirit and set new records. So, I can tell you now that the Chinese Embassy has planned to throw a 'Victory Party' for Chinese athletes here at 'China House' on August 9th! You can be sure that we will sing and toast to our great success! On top of this, I have invited a 'secret guest' to the party! The performance of this 'secret guest' will add to our celebration! In conclusion, I want to stress that the Chinese Embassy in the UK will give full support to the operation of 'China House'. Let us work together for 'China House' to be an excellent platform. It is a superb venue for the spreading of Chinese culture and the Olympic spirit. Overall, like today, it can make a highly significant contribution to strengthening China-UK exchanges and friendship.